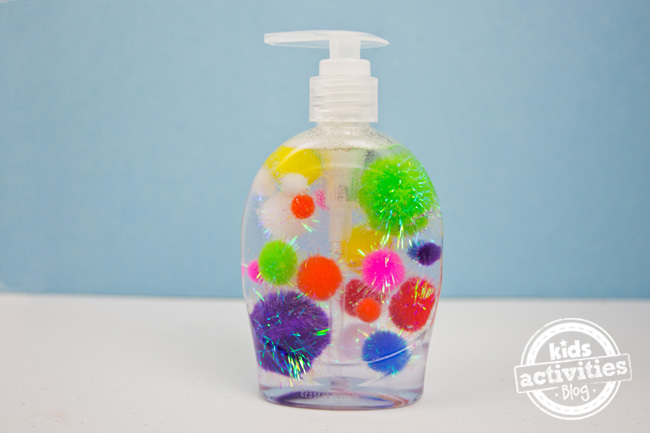 This Pom Pom Soap Craft makes washing hands fun for kids and grown-ups alike. 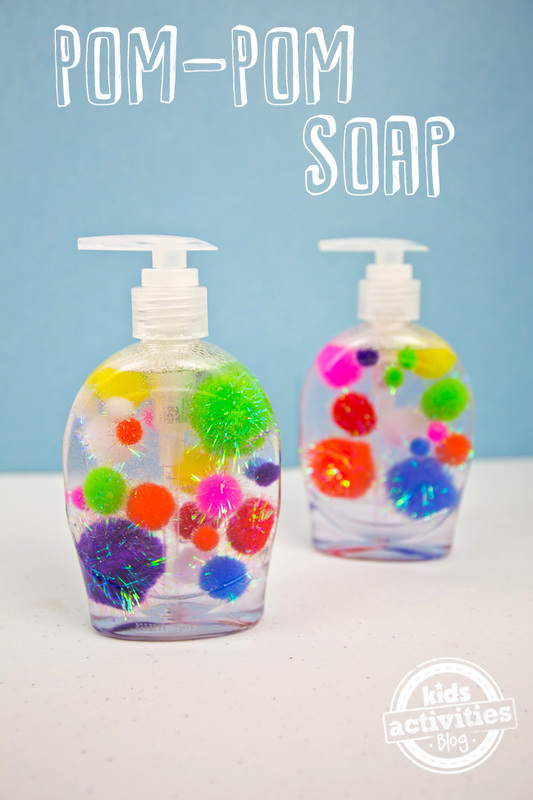 It’s a fun decor idea for a kids bathroom or even a classroom! 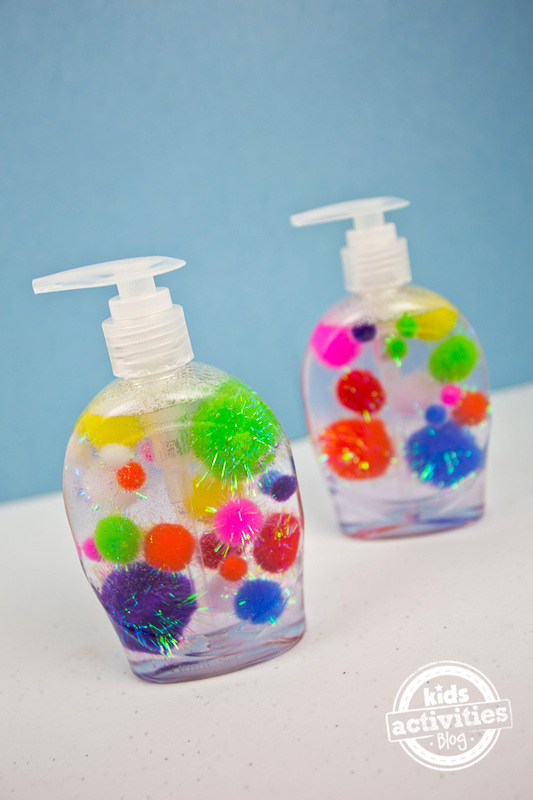 It may not be treat soap, but these pretty pom poms add a fun look to a bottle of clear hand soap. Remove the label from your bottle of soap. I used alcohol to wipe away the goo left over from the label. 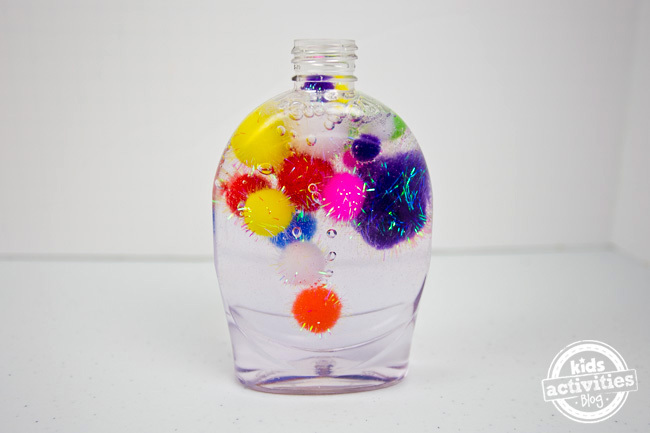 The idea is simple — just add the pom poms to your bottle of clear hand soap. 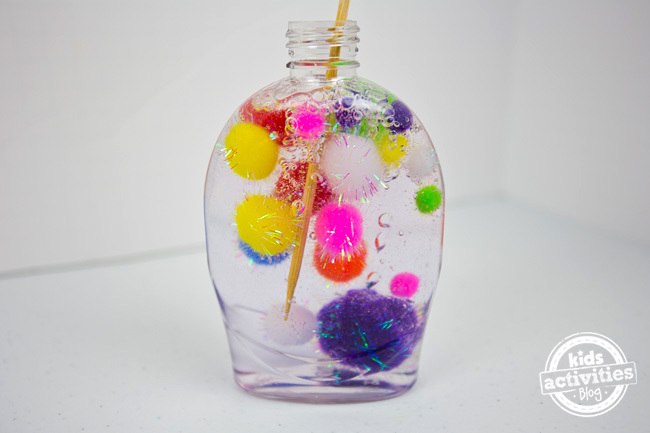 Use the skewer to position the pom poms within the soap. 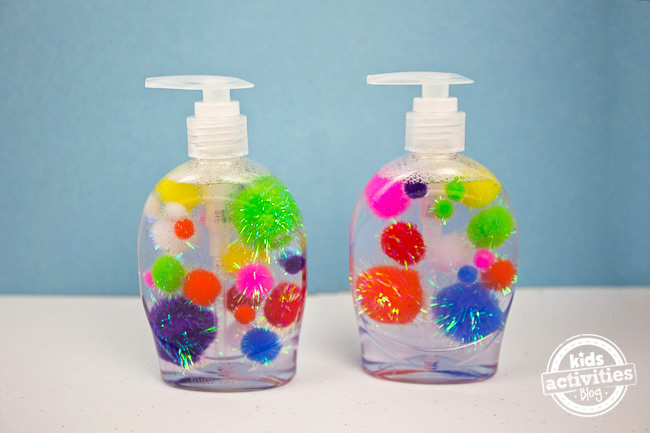 Make sure to add enough pom poms to remove any extra space from the soap — if there’s air at the top, they will float to the top! 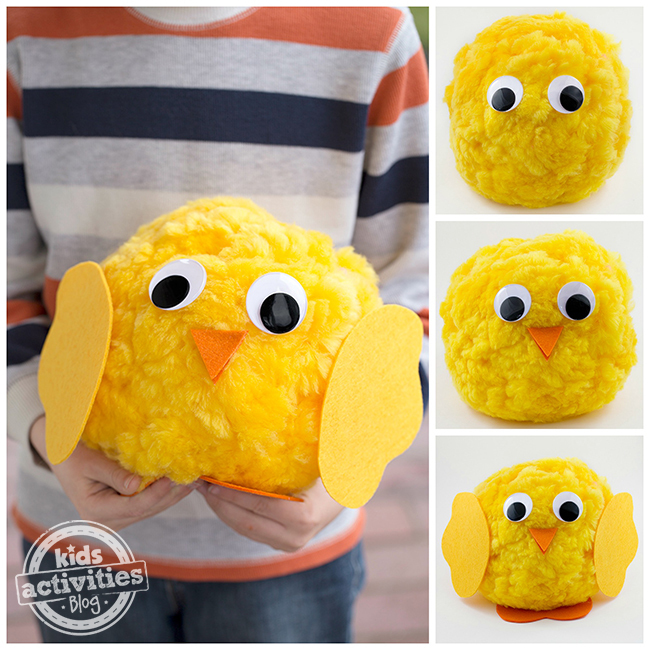 Now that you’ve gotten the pom poms out, why not indulge in some pom pom toddler play? Plus, it’s a great way to store the extras. And if you’re looking for another fun teacher gift, this LEGO hand sanitizer is super fun! This other craft also includes a GIANT pom pom. So cool! For more crafting ideas, click here. Be sure to follow our Facebook page for more awesome tutorials! Previous Post: « Should You Encourage your Non-Athletic Child to Play Sports?